From the invention of the Cotton Gin to satellites that track and plan best practices for farming, agriculture and technology have long partnered in the idea of necessity breeding ingenuity. In doing so, both industries continue to be redefined. A prime example of this is the case of United States Sugar Corporation (U.S. Sugar) and their goal to empower their team working in the field by enabling them to graduate from manual processes and reporting to user friendly mobile devices that streamline their efforts, reduce human error, and ultimately save the entire company time and money. 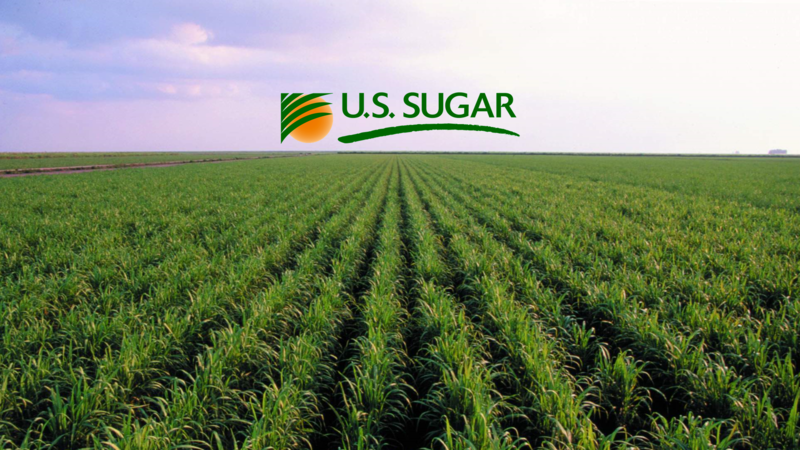 Providing sugarcane, citrus and sweet corn to American families since 1930, U.S. Sugar is one of the largest agricultural corporations in Florida and one of the major job providers in the Glades region of the state, with over 2500 local employees. An innovator from the start, U.S. Sugar employs high-tech in their operations thanks to a 270-square-mile contiguous privately-owned Wi-Fi network. However, despite the vision and the efforts to always be on the cutting edge of technological advancement, some operational processes in the fields were still executed with manual (pen & paper) activity, with consequent disruption in the integration of their data flow towards SAP ERP. The pursuit to mitigate this disruption led U.S. Sugar to team-up with NIMBL in early 2017. 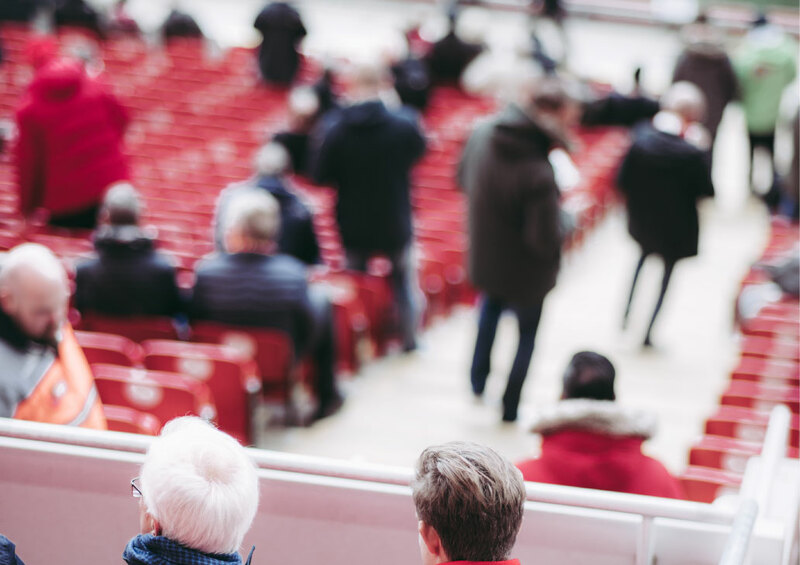 The goal was to explore new drivers that would yield operational change and extend the boundaries of the IT reach in the field featuring modern technologies. The decision landed on the adoption of two of the very drivers that are a part of SAP roadmap to Digital Transformation: User Experience (UX) principles applied to mobile applications. Being free to design solutions from a blank canvas was the ideal opportunity to transpose the manual processes of U.S. Sugar into modern work tools that did not differ too much from the applications that the final users use in their everyday life; namely user-friendly web templates and smartphone/tablet apps), resulting in a much lower learning curve and higher user satisfaction and engagement. 2. With a human value of user satisfaction, strengthening the relationship between the IT department and their business users. Essentially, we helped our customers to help their customers. All these considerations took shape in mobile applications to support U.S. Sugar equipment maintenance and monitoring. In the first phase, U.S. Sugar needed to furnish their field managers and operators with reliable tools for the creation of Maintenance Notifications to run their SAP Plant Maintenance (SAP PM), a module widely used by numerous SAP customers in the manufacturing and produce industries. NIMBL analyzed the need, identified the most suitable options in the marketplace and lastly adopted the Neptune Software framework for the implementation. 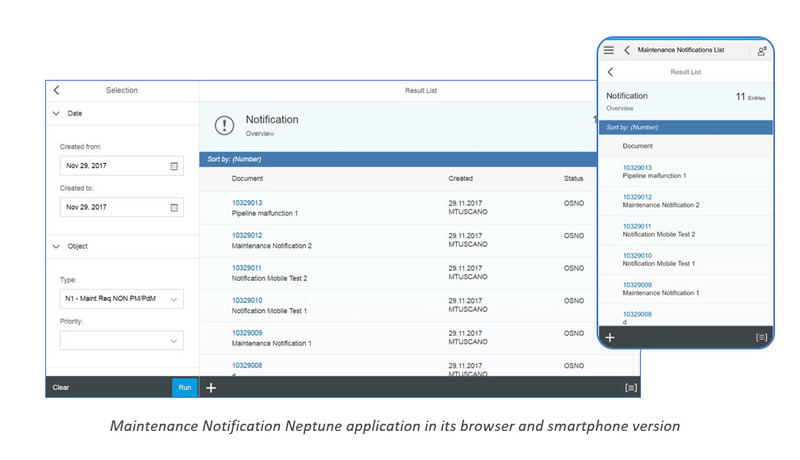 Neptune Software - a partner of Techedge Group - is an SAPUI5 accelerator with a modern frontend look and feel and an underlying ABAP engine (which makes it a particularly good fit for SAP-oriented developers and administrators) and the capabilities to develop beautiful easy-to-use desktop and mobile applications fast and efficiently. The plugins available in the Neptune framework allowed us to release the features that better suited U.S. Sugar needs, such as geo-localization, barcode scanner and offline mode for the field operators to detect malfunctions in the equipment. We also looked at how to record Maintenance Notifications on their mobile device (iOS, Android and Windows 10 are all supported) even where Wi-Fi coverage is not guaranteed and channel the data into SAP PM with accuracy and speed, interacting with the standard SAP functionalities IW21, IW22 and IW23 to handle plant maintenance notifications and the creation of Work Orders, when needed. The second solution we presented was Seal Verification Scan, a fully custom mobile application to support U.S. Sugar cold storage of citrus juice from the time of production to the time of shipment. The U.S. Sugar juice production line stores its product in industrial drums individually identified by a label with a serial number (in the form of a barcode) and a tag with a seal number for quality verification. When the weekly time of shipment comes, the serial code-seal code couples on each drum can mismatch from those recorded in SAP PM at the time of production. This could be due to accidental breakage of the seal number tag or random quality checks performed by the lab department operators who remove the seal to take juice samples and replace it with a new seal. To ensure data integrity, a slow and tedious manual process was in place, by inspecting each drum and taking note of the mismatching codes on a piece of paper, then adjusting the records manually in SAP, while lines of trucks were waiting outside the plant, resulting in a waste of time and money. Once again employing Neptune Software, NIMBL implemented a mobile app interfaced with SAP PM. Thanks to the barcode scanner plugin enabled on the device, the plant operators can now quickly scan the labels on the drums, identify at a glance the mismatches thanks to real-time HTTP calls to the backend SAP system and flush the data automatically, then mark the drums to Ready for Delivery. All this reduced the duration of this activity from hours to minutes. This year will see two more projects lined up for NIMBL to help U.S. Sugar with their Warehouse Inventory Management. Once again, the goal - as already done in 2017 and 2018 - is to move along with U.S. Sugar with their Digital Journey, by equipping them with efficient, user-centered, offline-enabled mobile applications to automatize processes, facilitate governance and auditing and maintain a high level of User Experience. And the growth doesn’t have to stop here; now that they have planted the seed to become an Intelligent Enterprise, NIMBL can help them to push the perimeter even further, exploring preemptive maintenance scenarios unlocked by Intelligent Technologies such as Internet Of Things and Machine Learning. By embracing digital transformation, U.S. Sugar is primed to become an industry leader and yet another example of the crucial and symbiotic relationship between agriculture and technology.